This entry was posted on March 29, 2019 by Nicholas Lake | Marketing Manager. We’ve got the stock in store ready for collection and delivery next day! 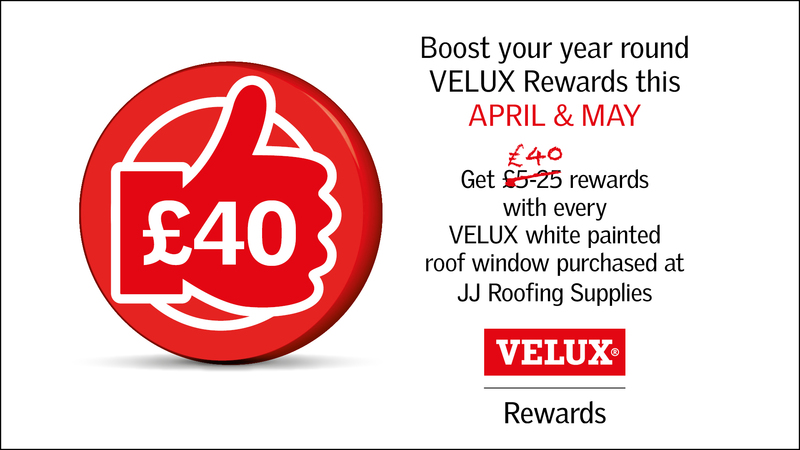 For every VELUX white-painted roof window you buy from JJ Roofing Supplies this April and May 2019 you will receive a £40 high street voucher to spend with big brands below! Shop our full range of Velux White-Painted Windows by clicking here. To collect your voucher simply log in or sign up at velux.co.uk/rewards and upload your proof of purchase from JJ Roofing Supplies to earn your vouchers. Just remember to register your purchases before 14 June 2019.